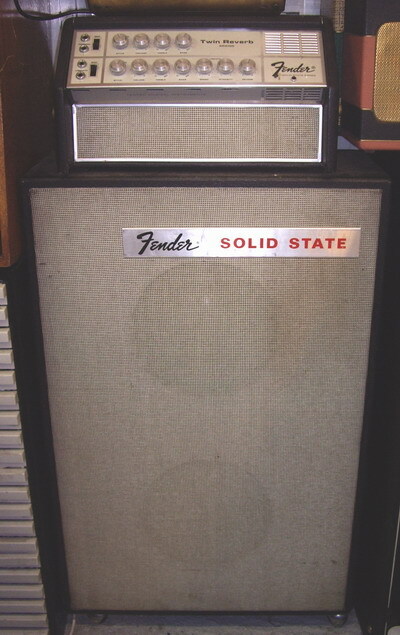 This is the first solid state amplifier ever produced by Fender. 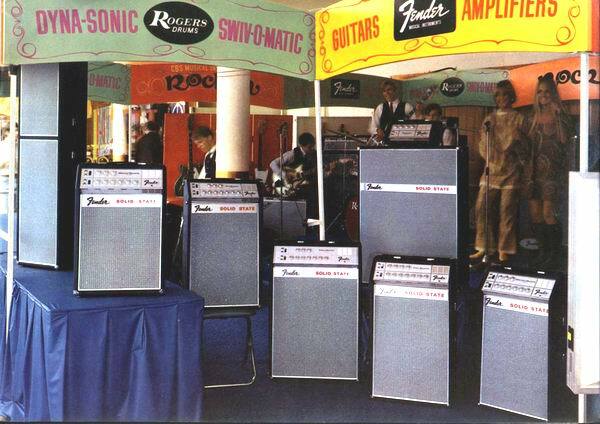 Introduced in 1967 at NAMM Show. The condition of this unique piece of equipment is near mint. All parts seem to be original - it has RCA power transistors, General Electric and Mullard capacitors. 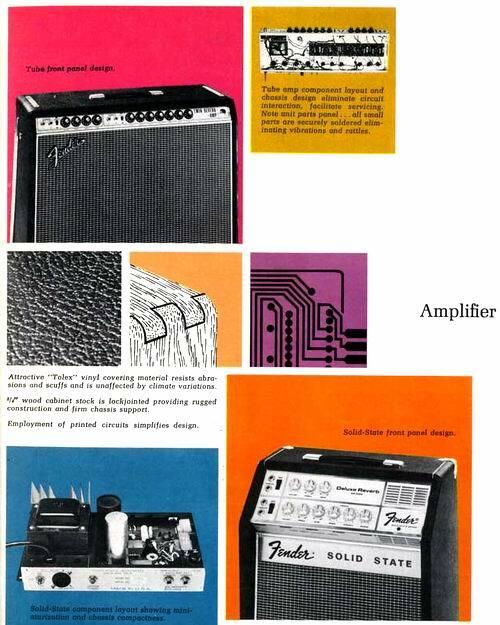 The amp has two channels with independent inputs, one for high and one for low impedance sources. Channel one is without effects, channel two has effects controls. Each channel has a bright switch. 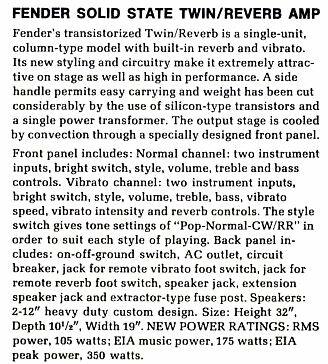 What is very interesting and not often seen in amps of that age, is the first knob - style. You can choose three different sound settings with it - pop, normal, country-western/ rock and roll. The pop setting is a little darker in sound, the cw/rr setting is very bright and crisp. It will be great for strat sound lovers. It really can make your ears ring. 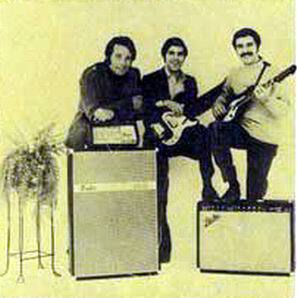 The pop setting is best suited for jazz guitar. 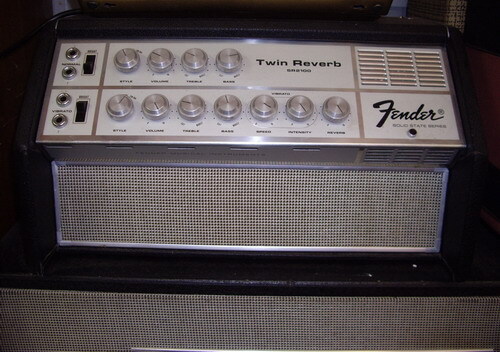 Normal setting is almost the same in character as the regular all-tube Twin Reverb. 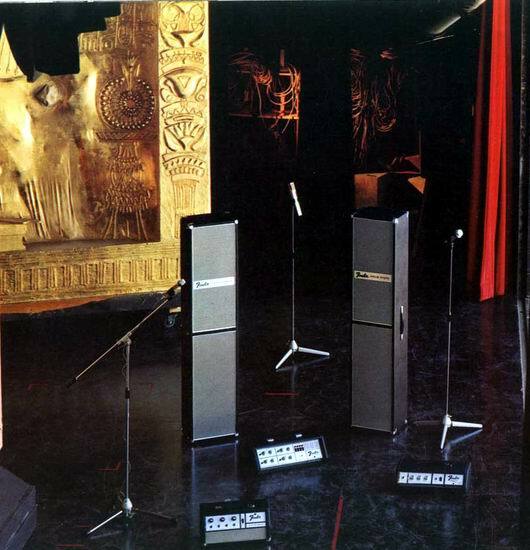 Next controls are: volume, high, low, tremolo speed and intensity, reverb. The tremolo is also incredible, built with opto-electronic circuit using a light bulb flashes which you can actually see inside the amp. The reverb is one of the deepest I have ever heard, you can really drown in it. 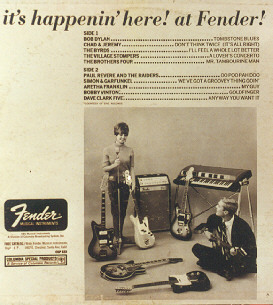 It sounds incredible in surf/rockabilly playing style. The amp is loud - 100 watts rms, as seen at the back of the chassis. In comparison with tube amp this one is incredibly warm and soft in sound, not being muddy on the other hand (great dynamics and detail!!! ), unlike any other solid state amp I have played. 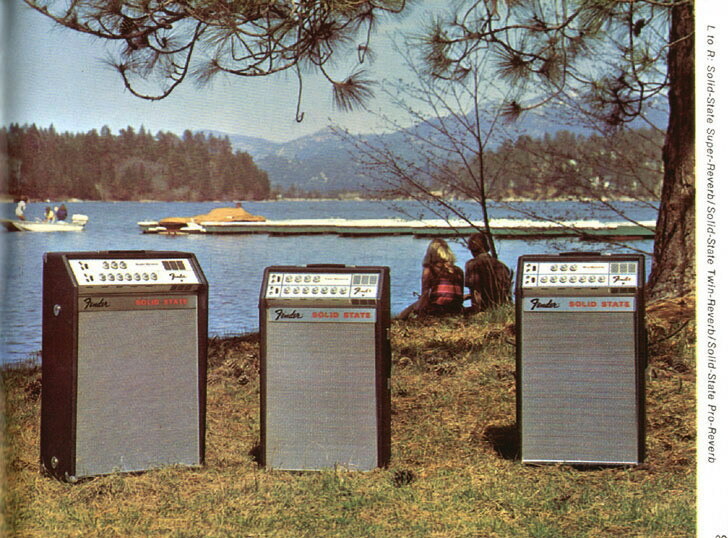 One great thing about this amp is that was designed to be put horizontaly or vericaly, the same applies to carrying handles. It is truly a special collector`s item.